From Livorno, your path leads through the rolling green hills of Tuscany to Florence, the flower of the Renaissance. The creative explosion happened right here, with masterworks by Michelangelo, Brunelleschi and Botticelli now landmarks of daily life. Ufizzi, Academmia, il Duomo: the art treasures of a golden age are commonplace to blessed Florentines. Livorno also serves as the gateway to Pisa, home of the famous leaning tower. 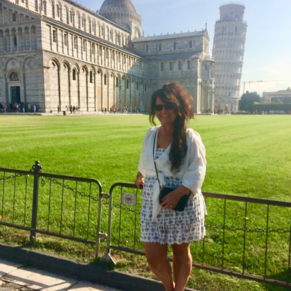 The Miracle Square and Tower of Pisa was something I never cared to see but once I did it was a fantastic experience. I wish I could give Florence more than 5 stars! I was in awe...we are going back just to spend more time there. Everyone should go to Florence once...everyone. 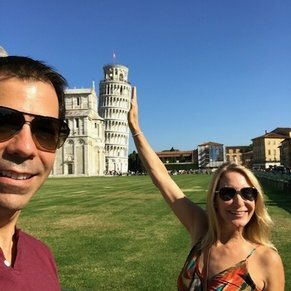 Some of our friends went to Florence, some went on tours that went to Pisa. 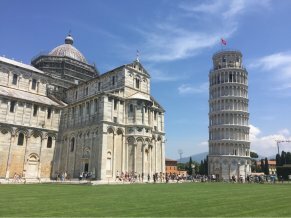 We took a low-cost transfer bus to Pisa and pre-bought tickets to climb the tower of Pisa, though buying them in person would not have been hard either. It was a surreal experience. Whatever you do, visit one of these places! 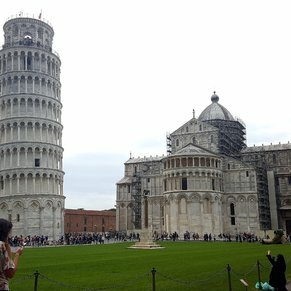 Pisa is lovely, we did a tour and you arrive about 10 minutes walk from the site, you arrive in a very nice shopping area. The looky looky men didn't hassle you, remember to haggle with the sellers, and when you go through the gate the site blows you away. 3 of 63 shore excursions in Livorno (Florence & Pisa), Italy. There are currently 1 discussions about Livorno (Florence & Pisa), Italy.